A cableway often is associated with mountain adventure sports, with activities that provide a great adrenaline surge and with activities which enjoy our children when they are at school excursion. But the fun with cableways is not limited only to mountain sports. 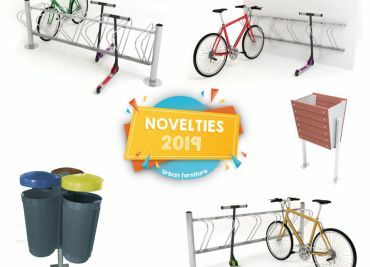 Thanks to entities like Mobipark, the municipalities can include in their urban spaces playground equipment which imitates the huge adventure sports cableways, though conceived that the children can use and enjoy it freely in public parks: without harness, without instructor and without dangerous risks. How does a playground cableway work? Put in practice the physic teaching from school! A cableway is powered by GRAVITY. 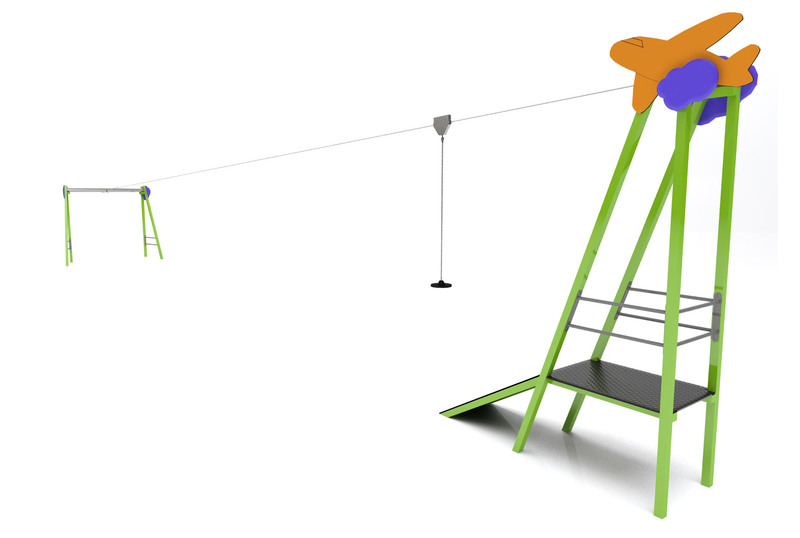 This cableway system for playgrounds is designed with a higher departure structure and a lower arrival structure. Thanks to the inclination, the children can cross the distance from the higher to the lower side of the cableway with the aid of a trolley along the cable rail. 25 meters adrenaline kick and feel like flying! At Mobipark, we offer you two cableway systems for public playgrounds which will be the children’s favourite place to play. 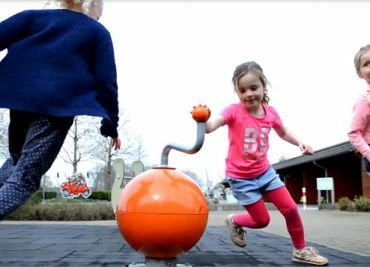 Playground structure made of stainless steel. The departure structure is decorated with colourful panels and disposes of a large platform of 2x1m as jumping-off point. This departure platform is placed at 1,40m height and can be ascended by means of a ladder. The arrival structure is equipped with an extra strong shock-absorbing braking system for the cableway trolley which attenuates the “landing”. 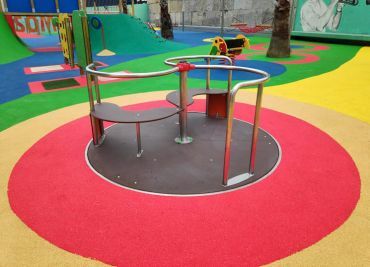 Playground structure made of powder-coated steel. The departure structure of the playground cableway “Light Plane” is of smaller dimensions than of the playground cableway system “Huge Bird”. Its departure platform is placed at 0,96cm and can be ascended by a ramp. Its arrival structure is equipped in the same way with a shock-absorbing braking system which attenuates the impact progressively. Mobipark’s playground cableways comply with all safety requirements and are certified according to the safety norm for public playgrounds UNE-EN 1176:2018. Control in our production plant for the precise adjustment of the parameters: inclination - distances - tensioning - acceleration - speed - braking.